The Mayo Clinic in Rochester recently launched a new program that combines non-surgical weight loss procedures with a unique personalized and comprehensive wellness program built around the New York Times best-selling book "The Mayo Clinic Diet." In addition to weight loss, the program helps patients achieve wellness goals and make lifelong changes for a healthier lifestyle. 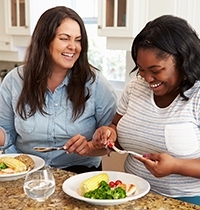 It is the first program in the nation to combine new state-of-the-art endoscopic weight-loss interventions, such as endoscopic sleeve gastroplasty and gastric balloons, with a comprehensive behavioral and wellness program through the state-of-the-art Mayo Clinic Healthy Living Program. The ultimate goal is to have patients lose excess weight and maintain the weight loss long-term for an impactful health benefit. You can learn more about the comprehensive program in the Non-Surgical Weight Management Program video . You can learn more about the Mayo Clinic Diet Experience on the Mayo Clinic Health Living Program website.